Oh my goodness. Both pictures are so heartbreaking. And so loving. Oh, how beautiful. And what a touching photo, too. I had no idea that's where she had gotten it from - it's still such a stunning piece of artwork. 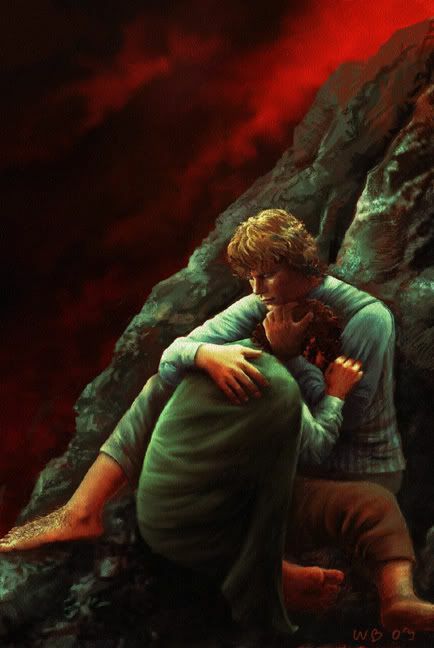 I've always thought that was one of the best renditions of Sean as Sam; and tho' you can't see Frodo's face because of the angle, your mind's eye fills in Lij's face very easily. 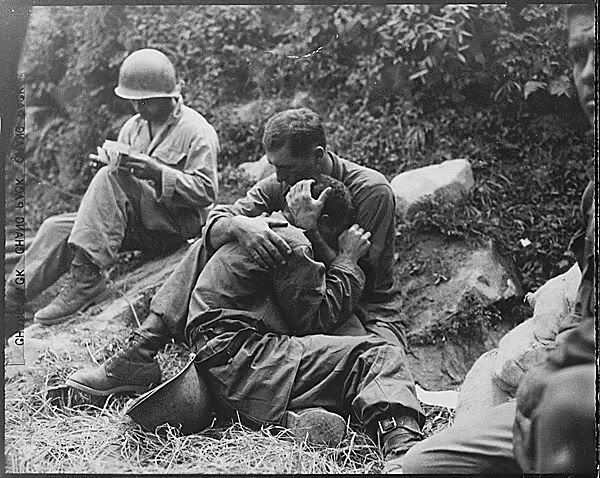 And the original is quite moving and so heartbreaking. Thank you, dear. I've never seen either of those before. She certainly did that photo justice. They are two very moving images. Well, 'stunning' has already been well used, so I'll just say "Wow!" Some people can really paint. It's very beautiful, isn't it? Thank you for this. Its truly stunning, especially when you look at the comparisons. Thank you for posting this, and...OMG..your journal simply breathtaking. That picture. sighs. Wow, that is spectacular! I've never seen it before. What a fabulous artist she is. Thanks for posting this. OMG.. I'm speechless.. it's amazing!!!! What a beautiful painting and a stunning picture. If anyone wonders why LOTR went straight to our hearts and souls, this must be the answer, there isn't anything fake in Tolkien's story. Truly amazing. "If anyone wonders why LOTR went straight to our hearts and souls, this must be the answer, there isn't anything fake in Tolkien's story." That is so true. Glad you like the pic - it is quite stunning, isn't it?